The second largest mall in the United States could soon look toward a residential solution to the problem of failing big-box retail. Simon Property Group Inc., the owner of the King of Prussia Mall and the biggest mall landlord in the country, will reportedly explore mixed-use alternatives for the 17-acre site of the former JCPenney department store and parking lot, according to Bloomberg. The JCPenney in King of Prussia was one of about 140 locations that closed nationwide in 2017, part of a trend of widespread retail closures expected to peak in 2018 before leveling off a bit in 2019. Sokolov declined to divulge details of the proposed plan for the mall. On a conference call with analysts in October, CEO Simon said the project could include a hotel, apartments and office space, and had the potential to increase the property’s value from $2 billion to more than $3 billion. Located on Manhattan's West Side, Hudson Yards is a sprawling complex of high-end apartments, restaurants, offices, parklets and retail shops. It is the largest private real estate development in American history and the largest in New York City since Rockefeller Center. At a time when many U.S. malls are facing high tenant turnover and a bigger existential crisis down the pike, Indianapolis-based Simon Property is well-positioned to experiment with redevelopment. 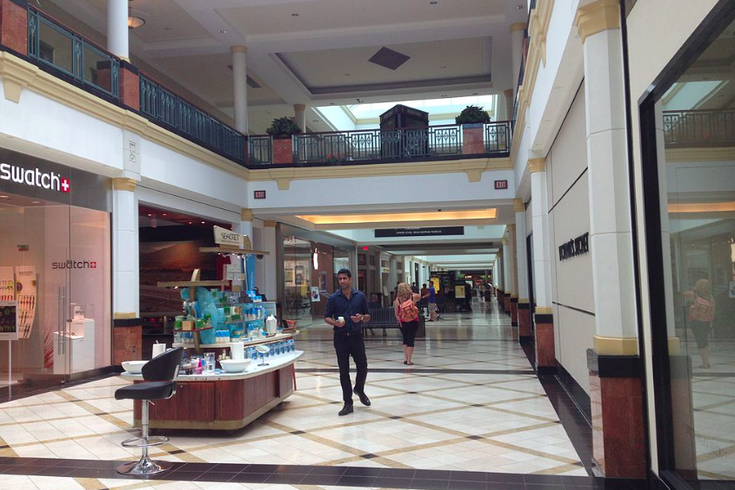 The King of Prussia Mall has been in near-constant evolution and expansion since it opened in 1963, now covering 2.8-million square feet and ranking among the top three percent on the nation's malls.